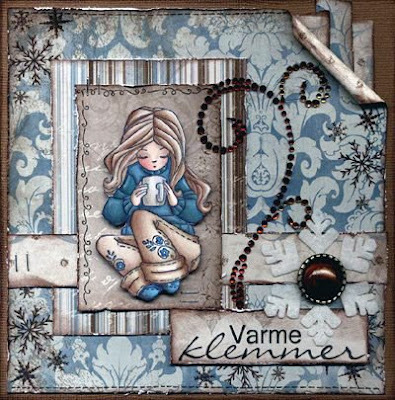 Please sen out a warm welcome to Malin T. Petterson (Cards by Malin aka Boop) from Norway, who also designs for Whiff of Joy Stamps during may and june. Heute möchte ich euch gerne Malin T. Petterson (Cards by Malin aka Boop)aus Norwegen vorstellen. Sie ist ebenfalls als Gast Designerin für Whiff of Joy Stamps in den Monaten Mai und Juni tätig. "My name is Malin, also known as Boop (age 35). I live in Norway with my 6 year old daughter and my husband, and I work at Steffens, a scrapbook-/stamping store in Oslo, the capital of Norway. I've been a scrapper since 2003, and a stamper for almost as long. Crafting with paper is a big part of my life - I love it! And I adore the Whiff of Joy-stamps. 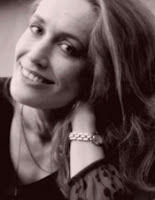 I am so thrilled to have been chosen as a guest designer." "Mein Name is Malin, im Internet auch bekannt als Boop (35 Jahre alt). Ich lebe in Norwegen mit meiner 6 jährigen Tochter und meinem Mann und arbeite bei Steffens, einem Scrapbooking- und Stempelladen in Oslo, der Hauptstadt von Norwegen. Ich scrappe seit 2003 und stemple fast schon genauso lange. Das Basteln mit Papier ist ein großer Teil meines Lebens - Ich liebe es! Und ich liebe Whiff of Joy Stempel. Deswegen bin ich überglücklich als Gast Designer tätig seinzu dürfen." 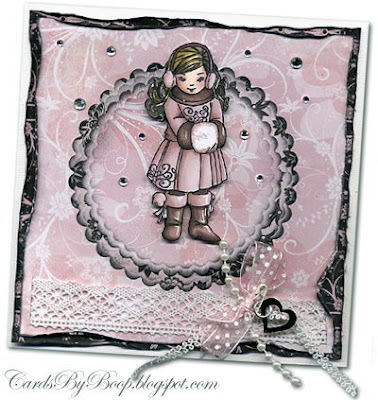 Malin already created a lot of stunning works featuring Whiff of Joy stamps. Here are two examples of her amazing creations. Thanks Malin for joining the WoJ team!